The Sudanese Revolution Shows You The Way To Be A Sudanese Tiger! This page on the Sudanese revolution is long, although its uncomplete, yet. It will be completed regularly. This does not prevent us from saying that what you will read here on the page is good, quite complete and useful. Well, I re-edited this page an divided it into 4 parts, but it is still long. So, please read it completely. I assure you it's useful, and when you, Arabic and English readers finish reading it, come to this space to continue it at Sudanese Intifada, Sudanese Protests and Sudanese Uprising. Thanks. 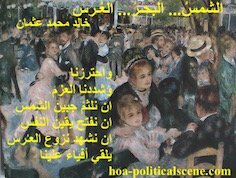 hoa-politicalscene.com/sudanese-revolution.html: Sudanese Revolution: يوميات الثورة السودانية في ديسمبر ٢٠١٨م. 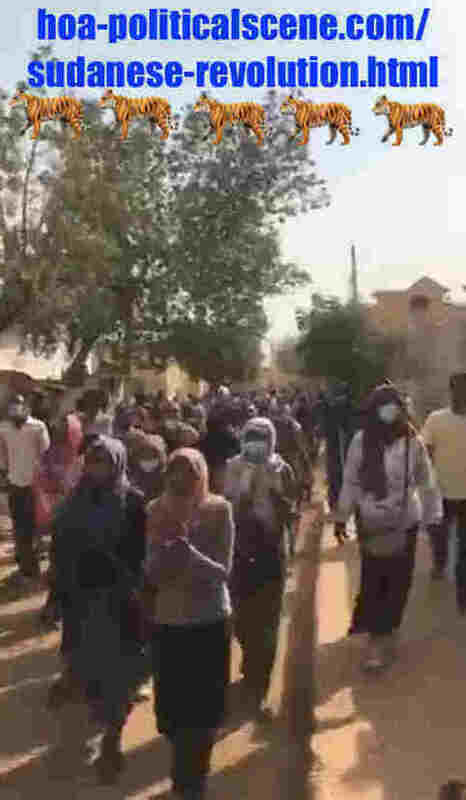 Diary of the Sudanese Intifada in December 2018. The page is a literal recording of the revolution in Sudan, since the political statement and the announcement of "SPARK" on 2011/03/16. See the statement of the Sudanese Youth for Change.Invitation to Comment 103: شباب السودان من أجل التغيير "شرارة" SPARK. 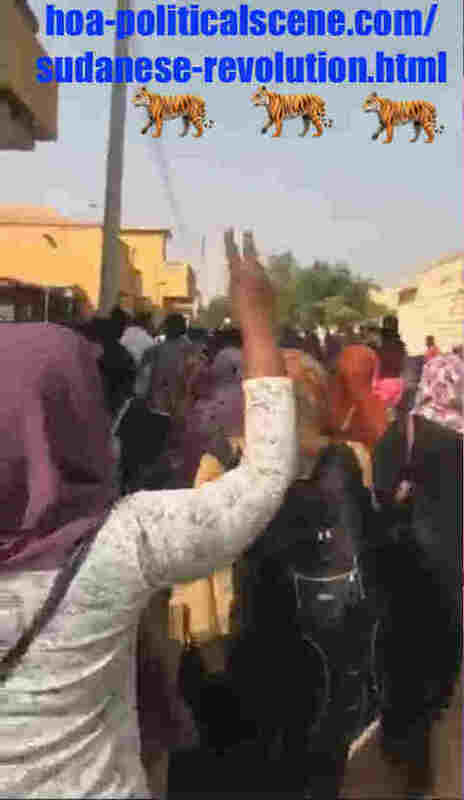 Afterwards, since the days of the Sudanese civil disobedience, we continued to repeat that there are additions of constitutional plans, with other necessary framework to guide the picket attempts to factory and to replace the totalitarian authority in Khartoum. You will find these additions with the framework here constantly, every time you visit this page. These constant additions will be either from you personally, when you write your impressions here, or from Khalid Mohammed Osman, the management president of the political scene of the Horn of Africa and his collaborators. The Sudanese civil picket was good, when we had it a few years ago, It had specific goals, has it achieved its goals? Some of the political events in which we are working have put forward the objectives of that picket. We all went through it, and I wrote and translated the first criminal memorandum and returned it to the "Sudanese Opposition Coordination Abroad" for further distribution. As I had distributed the first criminal memorandum to my sources in human rights organizations, the question rose into my mind afterwards, have the criminal notes completed their objectives? 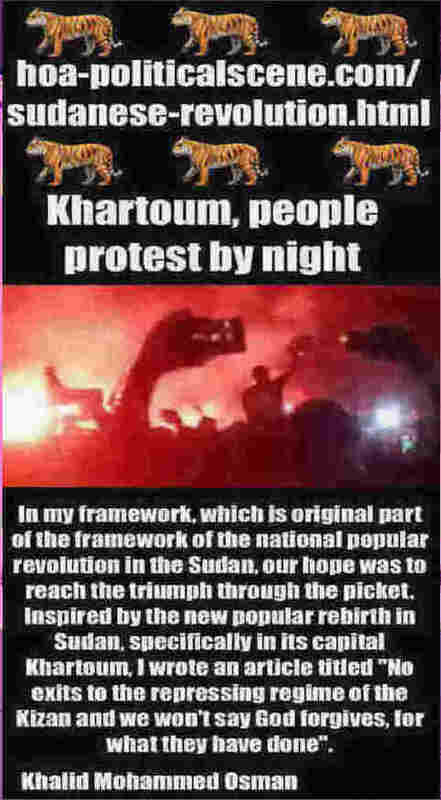 In my framework, which is original part of the framework of the national popular revolution in the Sudan, our hope was to reach the triumph through the picket. 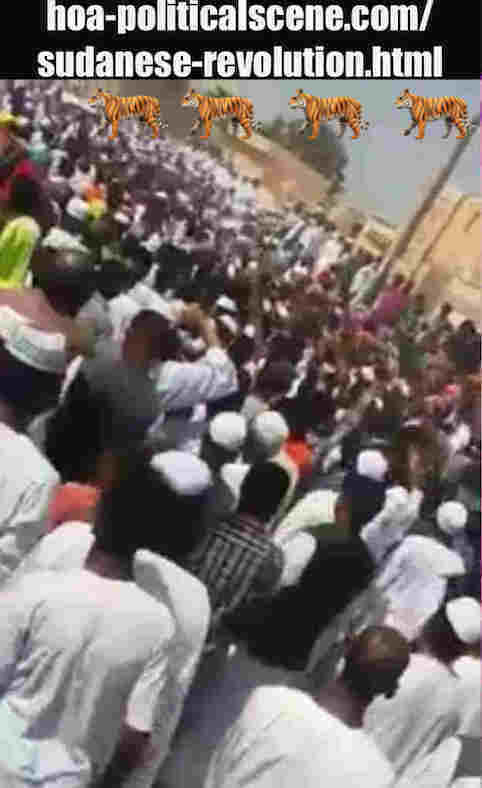 Inspired by the new popular rebirth in Sudan, specifically in its capital Khartoum, I wrote an article titled "No exits to the repressing regime of the Kizan and we won't say God forgives, for what they have done". hoa-politicalscene.com/sudanese-revolution.html: Sudanese Revolution: يوميات الثورة السودانية في ديسمبر ٢٠١٨م. Diary of the Sudanese revolution in December 2018. 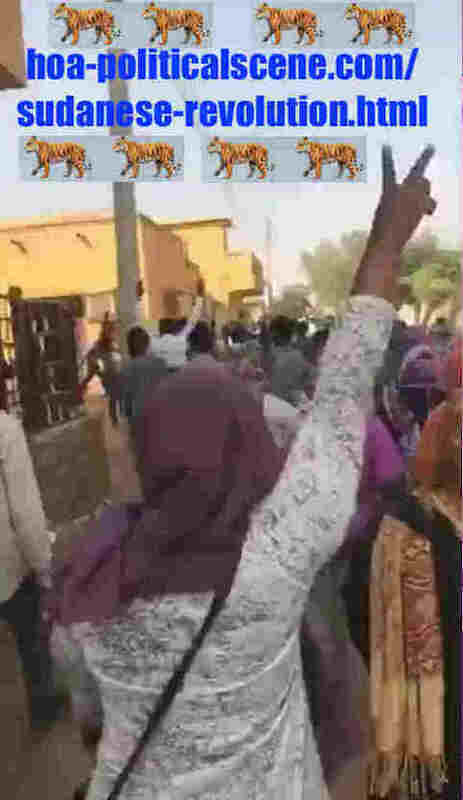 Social network, such as social media, especially the WhatsApp, began to address messages to young people about the participation of the Sudanese political parties, as if their presence would do something to the Sudanese national civil disobedience. 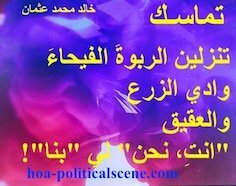 Then, I Wrote two Sudanese political articles asking what Sudanese political parties those young people want them to participate. Are they the Sudanese sectarian parties, which were the causes of all of the deterioration in the Sudan? Are they the same political parties we all know they have the lion share in the political problems in Sudan? Are they the political parties we all know that they have gone through bad practices through three periods of what was called democracy in Sudan?, although we know very well that democracy is not for the masses in Sudan! Are they the same Sudanese political parties, we all know that they have emptyed the sovereignty in Sudan from all of its meaning? I answered these questions suggesting that there's no need to call them to participate, since they are all original elements of the Sudanese problems. 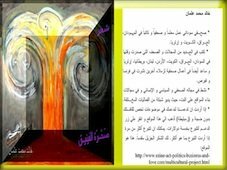 As for some parties, such as the Ba'ath party and the Nasirist party, I am obliged to say that they are born after foreign inspirations from the main lands of those parties. Those lands are different from Sudan. In addition they have created all the problems we see in their original lands and they are the causes of the destructions in these lands (Iraq, Syria and Egypt). So, why the Sudanese form parities like these? What they want to do in Sudan? I suggested further, such parities, in addition to the religious and sectarian parities shouldn't be allowed in Sudan. There are many reasons I highlighted in the two articles, you'll find listed in some links here, including the Sudanese Arabic political articles. hoa-politicalscene.com/sudanese-revolution.html: Sudanese Revolution: يوميات الثورة السودانية في ديسمبر ٢٠١٨م. 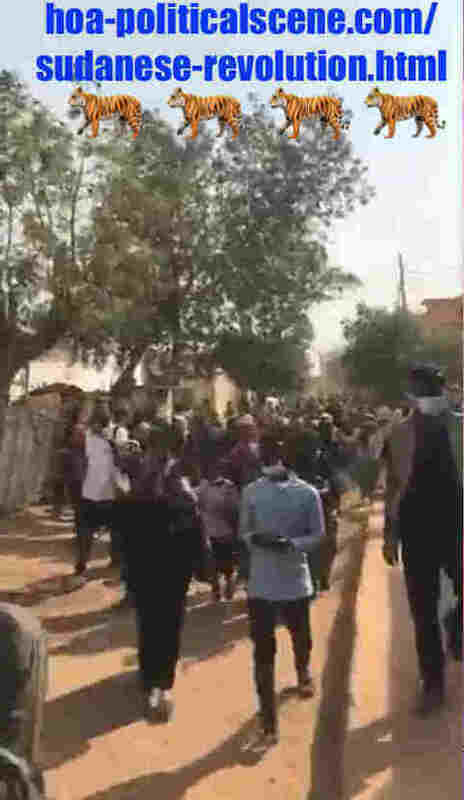 Diary of the Sudanese protests in December 2018. The Sudanese Revolution Guides You to Be A Sudanese Tiger! Yes, as it's stated earlier, our mission in the Sudanese Revolution is to conquer your fears, so you could be that Sudanese tiger we wish to have, to clear Sudan from all of the dirt of bribery, brokerage, corruption, economic deviation, nepotism, political delusion and superstition. Our mission is to create a new civilized, democratic, secular and united states in Sudan. This state with all the values, we aim to achieve, would be the leads for other states in the Horn of Africa, which are in fact in East Africa to form the United States of the Horn of Africa (USHA), with the USHA framework. To be a Sudanese tiger through the Sudanese revolution webpage, along with its posters at the (Sudanese January revolution in pictures), you should go and read all the pages indexed in the revolution of Sudan, here below. After that, you might find yourself so inspired, ready and more obliged to be a Sudanese real tiger at Annumor AlSudanyah. hoa-politicalscene.com/sudanese-revolution.html: Sudanese Revolution: يوميات الثورة السودانية في ديسمبر ٢٠١٨م. 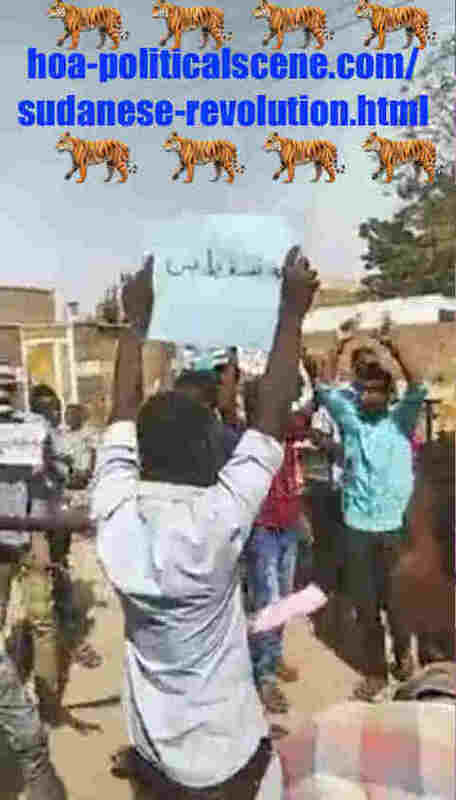 Diary of the Sudanese uprising in December 2018. هذه الصفحة عن الثورة السودانية هي في بدايتها وسوف تكتمل بإنتظام. هذا لا يمنع من القول ان ما ستقرأه فيها جيِّد وكامل نوعاً ما، ومفيد، وهو تسجيل للثورة السودانية منذ ما قبل أيام البيان الأول لمجموعة Invitation to Comment 103: شباب السودان من أجل التغيير "شرارة" SPARK والعصيان المدني. نعيد القول ان هناك إضافات ستجدها هنا بإستمرار إما من عندك أنت شخصياً، حين تكتب إنطباعاتك هنا، او من عند إدارة موقع مشهد القرن الافريقي السياسي (HOA Political Scene)، بقيادة الصحفي والناشط في مجالات حقوق الإنسانوالمجال السياسي خالد محمد عثمان، (Khalid Mohammed Osman) والمتعاونين مع إدارة مدونة مشهد القرن الافريقي السياسي (HOA Political Scene Blog). انظر صفحة Are You Intellectual 53: اعتصام مدني سوداني حتي النصر. في ذلك الإطار، وهو إطار الثورة الشعبية القومية في السودان، وقد كان الأمل يحدونا في إنتصار الإعتصام، كتبت مستوحياً الإنبعاث الشعبي الجديد في السودان، وبالتحديد في عاصمته الخرطوم (Khartoum) مقالاً بعنوان Are You Intellectual 55: لا مخارج لنظام القمع الكيزاني ولا عفا الله عما سلف. ثم بدأت الأوساط الإجتماعية علي الإنترنت، مثل وسائل التواصل الإجتماعي، خاصة الواتساب، وفيه مجموعات عمل سياسي سوداني كثيرة، بدأت تتناول رسائل للشباب حول مشاركة أحزاب سياسية، وهذه كانت بالنسبة لي ثالثة الأثافي، فكتبت مقالات حول الأمر في ثلاث صفحات، واحدة هي Are You Intellectual 57 Comments: أي احزاب معارضة سودانية؟، والثانية هنا Invitation to Comment 63: يا شباب أي أحزاب سودانية تدعونها لتشارك في حوار وطني؟ والثالثة هنا Invitation 1 HOAs Friends 144 Comments: يا شباب أي أحزاب سودانية تقصدون? وحقيقة لا أتذكر في هذه اللحظة بالتحديد أيّ صفحة كانت الأولي... حيث بدأت بالتساؤل، أي احزاب سياسية سودانية (Sudanese Political Parties) قصدها هؤلاء الشباب؟ هل هي أحزاب الأزمة السياسية السودانية، الممثّلة في الأحزاب الطائفية السودانية؟ (Sudanese Sectarian Parties) وحللت ذلك السؤال، طارحاً إسهام تلك الأحزاب السياسية السودانية في تدهور السودان منذ إستقلاله من بريطانيا في عام 1956م. وتساءلت أيضاً، هل هي الأحزاب الشعوبية، مثل حزب البعث العربي الإشتراكي والحزب الناصري. وحللت أيضاً الأمور في الإجابة علي هذا السؤال، وقلت ان ما يُسمي بحزب البعث هو حزب مستورد، لم يحافظ حتي علي وحدته في نفسه، فإنشقّ الي حزب بعث جناح سوريا، وحزب بعث جناح العراق، بل وأسهم بوضوح كما نري في ضرب بلديه الأصليين، فماذا جاء ليفعل في السودان؟ اما الحزب الناصري فهو ليس أقل خطراً منه فقد دمّر مصر أيضاً ولم ينجح في بلده الأصلي وحيث أُستمد من التجربة الناصرية في مصر. وأوضحت كيف ان السودان يختلف عن تلك البلاد. وفي إطار الحركة الجماهيرية بدأت أطراف من المعارضة تطالب المجرم الدولي عمر البشير (Omar al Bashir) بالتنحي، وذكرت تفاصيل ذلك في منشور Are You Intellectual 66:عن السلطة احزاب سياسية سودانية معارضة تطالب الرئيس السوداني بالتنحي.، وفي ذات الوقت كان Are You Intellectual 68: بيان اللجنة القومية للعصيان المدني والتغيير (خلاص) وقد صدر الموضوع وتمّ نشره في منابر التواصل الإجتماعية، وفي ذات الوقت، كانت قد صدرت Are You Intellectual 71: مذكرة اعلان العصيان المدني في الخارج، وكنّا قد عملنا علي صياغتها مع المجموعات الأولي، التي إنضمت لتنسيقية المعارضة السودانية في الخارج، وحيث كنّا نتداول الأمور في إجتماعاتنا، وفي إتصالاتنا التلفونية الفردية والثنائية والجماعية، لتطوير حركة العصيان والإعتصام الي حركة ثورية كاسحة. 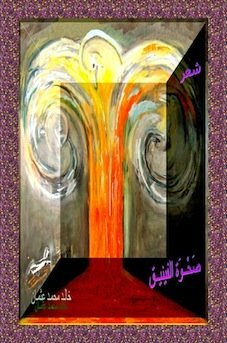 ولعبت مجموعة "ابادماك Abadamac" دورها وحيث نشرت علي الاوساط الاجتماعية Are You Intellectual 74: البيان السياسي لمجموعة (سودانيون - ابو دماك) للعصيان في الداخل ودعم العصيان من الخارج، ثم مضت في خطوات متسارعة لتشارك في كل الإنتفاضات اللاحقة. وفي إطار فعاليات العصيان الإيجابية علي المستوي الدولي انها حرّكت بعض منظمات حقوق الإنسان، التي اتصلنا به لتمارس الضغوط علي النظام السوداني العسكري الديني (military religious regime)، وحيث حذرت دول الترويكا حكومة النظام السوداني (Are You Intellectual: Canada, the EU and the Troika Warn Sudan Government)، وعلي الصعيد الداخلي تمّ حدثان ايجابيان وهو ما جاء حول ان (Are You Intellectual 77: الحركة الشعبية تعتذر عن حضور ورشة مركز كارتر بنيروبي وتدعو لدعم عصيان 19 ديسمبر)، كما حدث المتوقع وهو ان Are You Intellectual 78: مزيدا من القوي السياسية السودانية ستعلن العصيان المدني 19 ديسمبر، ثم توالت بيانات الاحزاب السودانية والتنظيمات المهنية ومنها Are You Intellectual 79: بيان المحامين الديمقراطيين بمناسبة اليوم العالمي لحقوق الانسان، وبعدها تمّ الإعلان علي ان Are You Intellectual 82: الأحزاب السودانية تنضم رسميا للجولة الثانية من العصيان المدني. 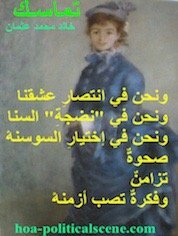 ولقد كان Are You Intellectual 84: العصيان المدني الشامل بالسودان حدثاً مميزاً، أيقظ الكثيرين، وحرّكهم من الإستسلام لليأس، وبعث الأمل الوطني في النفوس من جديد. سنواصل في هذا القسم العربي من الثورة السودانية حتي يكتمل تماماً ونتمني ان يكون لك القدح الممتلئ لإكماله معنا. يمكنك ان تفعل ذلك عبر إستمارة التعليقات السياسية أدناه. شكراً. Use the following form for your political commentaries on the Sudanese revolution. Please write as much as you can, fill the fields of the form and provide your email address for the system to send you notifications about comments on your entries. The process is secure. Thanks. To watch documentaries on such events, browse through documentary film at TVCinemaApp.com. Comments on the Sudanese revolution appear on the Comment C2 Entries section on the Horn of Africa's Network. Part of this section is made of comments on Sudan.Some of the comments appear on this section of the page below the comment form and above this paragraph. If you haven't commented, yet on the Sudanese revolution and the national activities of the Sudanese people, please do that now. Thanks.